Some playwrights write what they know; others exhaustively research topics before writing down their concept for a play. Mat Smart does both, which might involve world travels in search of adventures that sometimes lead to a play. That happened with The Royal Society of Antarctica, which premiered in 2015 at Chicago’s The Gift Theatre, and has its second professional production at Stage West, opening this weekend. Smart is in town for the production of his play, which won a Best New Play award at Chicago’s Equity Jeff Awards. Smart has been to all seven continents, and spent three months at McMurdo Station in Antarctica as a janitor. The experience inspired this play, which deals with a group of misfits and scientists, including a janitor who was the first person born in Antarctica and has returned in search for answers in the mystery of her mother, who disappeared there. This production is directed by Lee Trull, who brought the script to the attention of Stage West Executive Producer Dana Schultes. She is the only member of the eight-actor ensemble who has worked at Stage West; the rest of the cast are all new to Stage West: Grace Montie, Kelly Stewart, Michael Federico, Drew Wall, Christopher Dontrell Piper, Ruben Carrazana and Christopher Lew. We had a quick email chat with Smart about this play, his adventures in Antarctica, and what’s next. 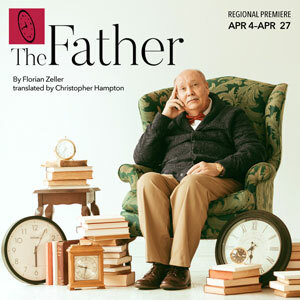 TheaterJones: The play was developed at the Playwright's Center in Minneapolis and had its world premiere at the Gift Theatre. Has it been produced elsewhere? Is Stage West the second production? Mat Smart: Stage West is the second professional production — the regional premiere. It was also done at my alma mater, the University of Evansville, in southern Indiana. Have you rewritten or changed anything since the Gift? I’ve tweaked a couple of lines this week. It is a three-hour, two-intermission play. The longer play was making a return, I thought, with Annie Baker’s The Flick and a few others in recent years. Are your other plays longer than what seems to be the current staple of 90 minutes, no intermission? Why did this play need to be in three acts? I would say most of my plays are two acts. I like intermissions. I like having a good cliffhanger and then having the opportunity for people to get a drink and talk about the story. This play used to be much longer, actually. I can’t imagine doing it with less than two intermissions. Does the length hinder theaters from attempting it? No. I would say it is more hindered by having eight characters (which means eight actor paychecks each week) rather than the length. You are a world traveler and have been to every continent, including Antarctica. Why there, and how does one go about getting there? Do you have to have secured a job there? What is the flight path? You can apply to work at McMurdo Station in Antarctica online. However, they get about 5,000 applications for 20 janitorial positions. I happened to have an actor friend that drove a truck down there for a year. She put in a good word for me. You fly to New Zealand and then have to take a U.S. Air Force C-17 from Christchurch. We are grateful for the support of friends like Theatre Jones. Give them a click, and read the rest of this great interview.